We have all the tools necessary to become a vital link in your distribution chain. We can fill in any of the missing pieces, allowing you to achieve optimum efficiency and enhancing the level of service you can provide your customers. Whether its supplemental storage or materials replenishment, ASD can provide whatever services are missing or lacking from your operation. We can also provide the extra space and labor to handle sudden changes in your business patterns. ASD is extremely flexible. 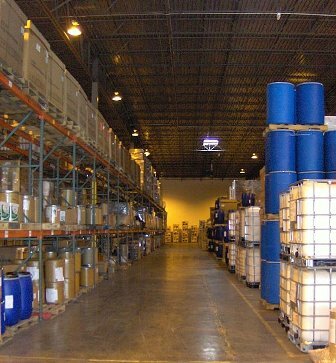 We can handle replenishment operations for specialized products, plant supplies or raw materials. We could also manage a return goods program or develop a materials reclamation process if necessary. We’re a full service 3PL capable of handling all of your Business to Business, Business to Consumer or Intra-Company needs. During times of expansion we can also help you grow responsibly. ASD can be a great resource for incremental expansion. Decrease the risk of fully capitalized expansion by utilizing the resources and services of ASD Logistics. We’re set up to help you bridge the gaps and are capable of mobilizing very quickly. On the contrary, if you’re looking to reduce costs quickly ASD can help there as well. Utilizing ASD can allow you to eliminate leased space or sell real estate and reduce personnel while continuing to maintain business operations. Tell us your goals and we’ll provide the expertise to help you achieve them. Being professionals in warehousing, we also offer consulting services as a means of helping you maximize your resources. We can offer advice based our vast experience as well as access to a variety of industry contacts. With our experience and participation in various warehouse associations over the years, there is very little that we have not had exposure to in the warehousing and distribution field.